One year and numerous decisions later, some critics are beginning to change their view. “I thought Adenan would bow to the demands of the politically powerful Taib, and I thought that it would be the end of Adenan if he dared to go against Taib,” said soil scientist and environmentalist Patrick Sibat, who has since reconsidered. 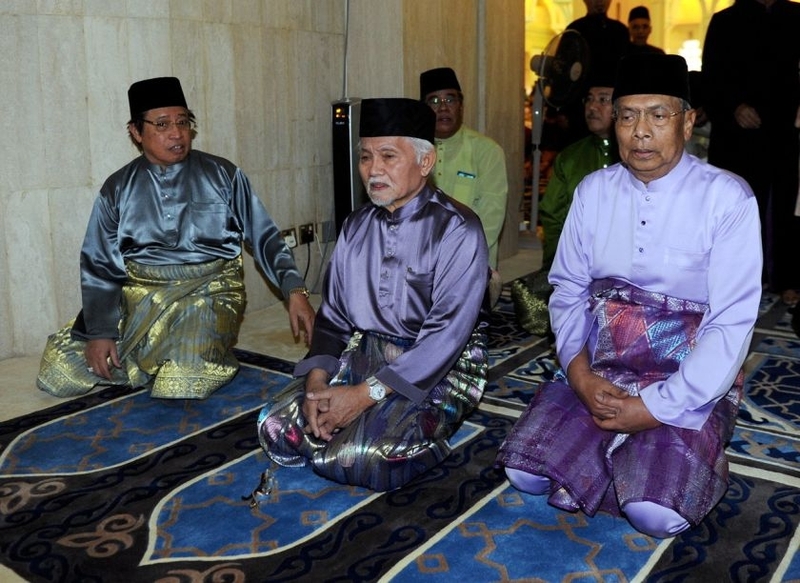 Taib, now Sarawak’s governor, never explained the rationale for picking Adenan over the favourite party Pesaka Bumiputra Bersatu (PBB) deputy president Datuk Amar Abang Johari Abang Openg, only saying that Adenan had a vast experience in politics since 1979. Days before he was sworn-in as chief minister on February 28 last year, Adenan had told reporters he would be the chief minister for all Sarawakians, protect the state’s rights, ensure Sarawak’s position in Malaysia, would be constitutionally right and continue Taib’s protective policy of keeping Umno out of Sarawak. He has done what no previous chief minister had done before, dramatically changing the political landscape of Sarawak in such a short time, with his pragmatic policies that have won the support of Sarawakians, the opposition as well as the federal leaders, including Deputy Prime Minister Tan Sri Muhyiddin Yassin. When he pledged before the Malaysian Anti-Corruption Commission (MACC) that he would not allow his family members to get involved in government contracts or have state land alienated to them, he was seen as distancing his administration from the previous Taib administration that was regularly accused of corruption. A product of a Christian missionary school where he took up Bible lesson as a compulsory subject, Adenan won the praises of the Christians in Sarawak when he told them that they could continue to use the word “Allah” in their prayers and churches, despite the Catholic Church’s failure to reverse a government ban on its use of the word in its newsletter. He bluntly condemned as stupid those who described Chinese Malaysians as “pendatang” and banned political extremists, religious bigots and troublemakers from peninsular Malaysia from entering Sarawak. Adenan also won praises from environmentalists and NGOs in his declaration of “war” against widespread illegal logging activities, which have cost Sarawak RM100 million to RM150 million in yearly losses over the past three decades. Commenting on Adenan’s first year in office, Abang Johari, who is also state housing minister, said he believed the chief minister’s pragmatic and people-centric policies have boosted confidence for Sarawak to move forward. Parti Rakyat Sarawak (PRS) president and Land Development Minister Tan Sri Dr James Masing asserted that Adenan has made his mark in his first year in office with his a no-nonsense and straight talking approach, saying that someone like Adenan is what Sarawak, being the biggest state in Malaysia and with vast economic potentials, needs. Sarawak United People’s Party (SUPP) secretary general Datuk Sebastian Ting describes Adenan as a problem-solver, like giving yearly allocations to Chinese independent schools which have been requesting for funds from the government for years.